Still pretty much fighting my way through this ridiculously hellish week. Current situation: two presentations down, and more to come. To be exact, there's another presentation, one short film, one performance, one formal dinner, loads of video trainings, one AGM and one more dance practice that i have to face this week. 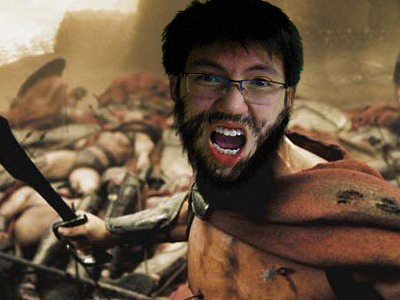 Makes me feel very much like the Spartans when they had to hold their position against waves upon waves of enemies in the movie. 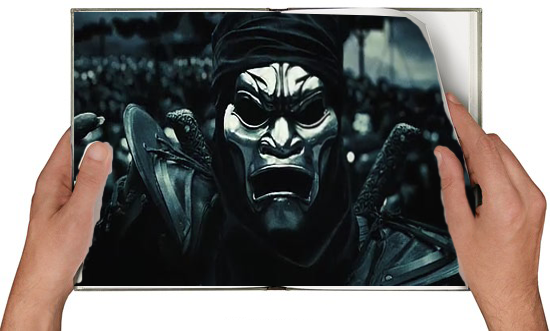 Except that my enemies are not scary-black-looking Persians (not being a racist here, they did wear black armor in the movie) but rather, erm, scary situations in which a failure basically means getting killed by someone depending on what situation i failed at. Not to mention the scary looking textbooks. I say so because each time i open the textbook, i could picture those scary-looking-black-Persians coming to get me. No thanks to the sentences used that i could never seem to understand. 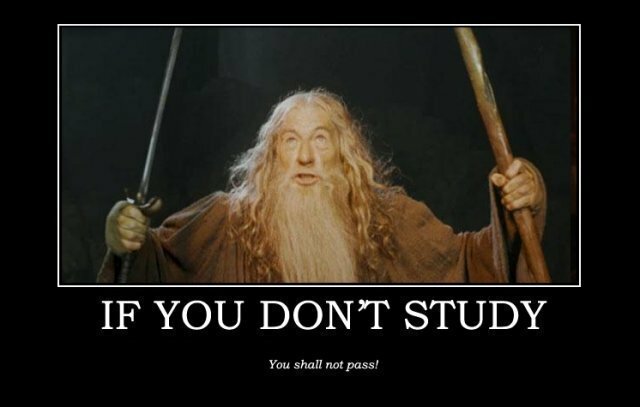 Oh well, at least Gandalf helped to motivate me a little bit to study. That is, if i happen to find the time.